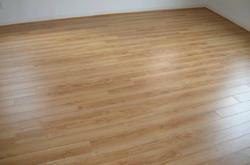 Our range of products include laminated wooden flooring. We are instrumental in providing Wooden Floorings. These are water resistant and thus, ensure durability. Our range of laminated wooden flooring is designed for easy installation and maintenance. The floor is extremely easy to clean, because dirt and dust do not stick to the sealed surface. Also, we offer customized solutions on our entire array of laminated wooden floorings as per requirement of our clients.